Guess what... How many templates for emailing are free? If you’ll start counting, then I think you forget the number. What do you assume like how many free email templates you have subscribed to? 50? 100? 500? I alone have lost counting of the subscribed ones to be very frank. You can observe a stiff competition among the email marketers to secure a prominent position. But if they do well, then only can nurture the number of leads. Thousands of email newsletters have wondered the business owners engaging more audience. The birth of a strong email campaign needs to be there to get the perfect chance of success and in that way, we will recommend looking for responsive e-newsletter templates supported with state-of-the-art components. Do you hate creating custom templates, but you need it well-developed from the scratch? Don’t worry about it. We scouring the web have found all-time favorite resources and also compiled them in the list of top ten below. Once you succeed obtaining one you like the most, download it free going through its official site and then start customizing to implement the needs. ZURB Studios carries total 5 responsive email templates including Ink and all these are free to use. The exclusive fluid layout available with Ink admits customizing with your beloved colors, text and images. Want to view how it looks on multifarious email clients? Browse the site to check their screenshots and interestingly you will experience optimized layouts suitable for multiple email clients barring Outlook 2013, 2010, and 2007. The simple editing options in this template with HTML file & CSS stylesheet simplify the process of adding images. This online community collaboration platform that holds an outstanding business blog & designer blog section to the small companies & designers. The company celebrates their email design category launch by running a contest where the designers are welcomed to create 3 email templates applying only 4 colors like Orange, Grey, Blue and Green. And these templates come for free downloading like promotional, newsletter, and email notification templates. These are downloadable and compatible with the most email clients. It’s a single pack of 6 HTML email templates, from MailChimp. The included template language elements are here specifically to the MailChimp lovers, but you may also strip them out for sending via any system. It’s good to go through the MailChimp email reference if you need more clarification regarding email code which is in general HTML. In association with Litmus, the folks of Stamplia have created 7 email templates that are available for free download. Every listed template is structured with responsive layout. And, it has also been acutely tested on Litmus to assure the compatibility with the most email clients such as Outlook, Gmail, etc. Besides this, you will also get PSD files that are used often for customizing the design as never been experienced before. Only you need to enter email address for proceeding the download of this template. It renders free templates to download embraced with the basic fluid design that runs well on all mobile devices because of responsiveness. Moreover, they offer 3 versatile layouts fully dependent on the recipient’s screen width. Only single template out of them provides layout support of 1, 2 or 3 columns for specific designing need fulfillment. Enjoy the free email template that comes with a free downloading option, responsive layout, PSD elements and open-source CSS & HTML code from Macro Lopes. Try to personalize its design according to your suitability. The template is also accredited by Litmus that ensures awesome email client compatibility. This email campaign platform came from Campaign Monitor consisting drag & drop UI. You can develop as well as take a preview of the mobile-friendly template using this intuitive user interface that lets dragging any piece of content directly from the text, buttons, and images. Furthermore, you may add more pre-design areas and even customize them too as per needs. Once the whole process of template creation is done from your end, then use in either an account of Campaign Monitor or download images, CSS and HTML for free. Sustained to yield the utmost results, Fresh Newsletter is a sharp email template for professional and multiple usages. It has been loaded with 10 layouts, PSD files, and 12 themes and each is accountable for customizing the work. The included documentation is easy to understand, so follow their instructions while using features for custom fit solutions. Skyline brings 9 pre-built layout designs in a responsive template integrated with Template Builder that makes your task of creating template easier. The presence of template builder only allows you to develop a well-crafted template in 3 simple to use steps. Variety in features like colors, layouts, elements, and fireworks helps you customize the best fit design which is compatible with almost all the email clients. 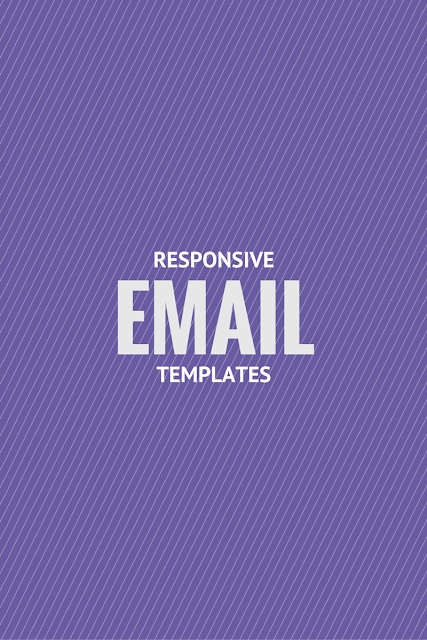 Antwort is a good resource for the email templates to provide responsive layouts if included with the email templates. Their library contains three templates condensed well on the smart mobile devices. What will you experience is like minimalist in email design which is helpful to execute lots of custom work? Also, it gives you an advantage of dynamic content addition in the design. They offer support with Yahoo, AOL, Gmail, and Outlook while accessing through desktop, but, on the contrary, with mobile, they only work for Android email and iOS mail. Finding the best resource is like a rocket science for all even you have already subscribed for an array of email newsletter templates. Because there are various factors that must be pondered during the selection process and then comparison, suppose how tough it would be if you do in this thousands of templates. No more hassle will be experienced now whether in finding or designing email template because we have collected 10 well-tested responsive email newsletters that you can download for free and start taking advantage of them. We have striven our best to provide you the popular and tested email newsletter templates through this list which entails free to download resources. These can also be altered depending on the requirements. Feel free to give us your reviews and suggestions that we always welcome and try to implement them to serve the ideal. Hope you’ll love this collection and it will help you pick an exemplary template that fits your needs. You may also like to check our Google chrome extensions for testing responsiveness of a page. Jean Turner is an Email Newsletter expert. She has been associated with theem’on for many years and has a passion for creating unique and customized Email Newsletters. She has also explored different writing skills and delivered successfully a lot of posts detailed on Email Newsletters.